Making Change at Walmart (MCAW), the national campaign to change Walmart, continues with the national “Are You With Us?” initiative that will target nearly 150 cities in all 50 states throughout the month of December. 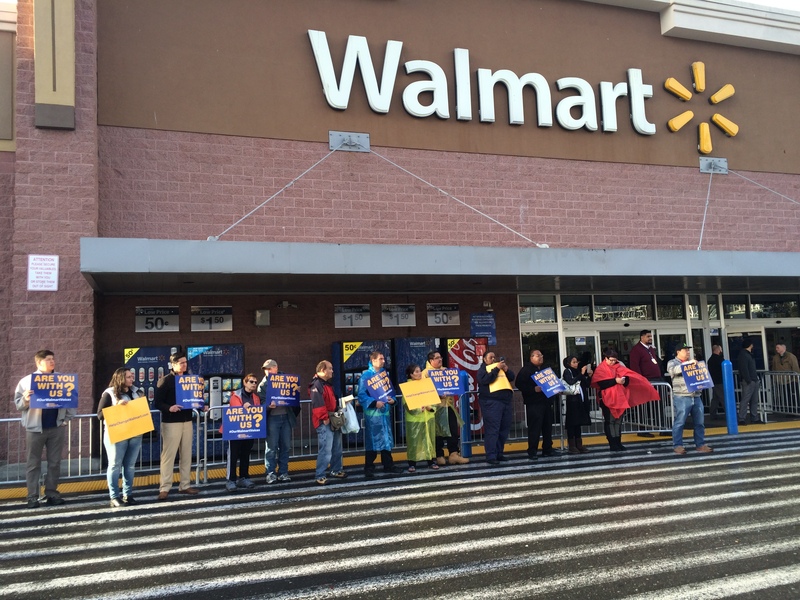 The tour kicked off in Boston on December 2, showcase the fact that many Walmart and other retail workers face poverty wages, erratic schedules, and workplace discrimination, and ask the community to stand with them in their fight for a better life. 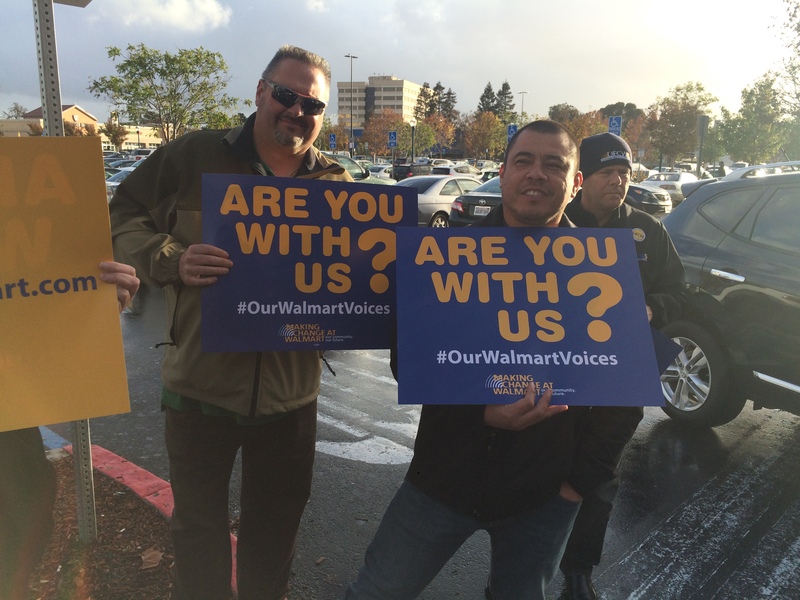 The “Are You With Us?” tour will be holding rallies and events in hundreds of cities, including Oakland, Los Angeles, Pittsburgh, Dallas, Seattle, St. Louis, Louisville and Washington, D.C.
and Americans to help change Walmart into becoming a responsible employer. 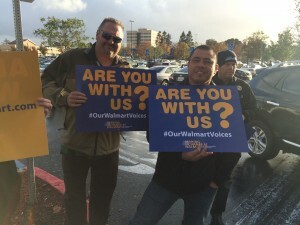 The initiative includes a targeted national ad campaign, includes current and former Walmart workers which will air in more than two dozen states. 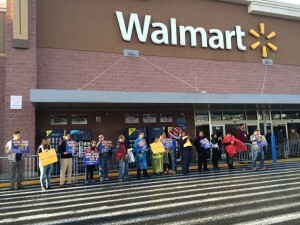 On Black Friday, Making Change at Walmart released a national ad as part of its “Give Back Friday” initiative to draw attention to the struggles of Walmart workers to feed and support their families. Making Change at Walmart, in partnership with UFCW locals, supported and hosted food drives across the country as part of a goal to feed 100,000 Walmart workers and families this holiday season. “Give Back Friday” was focused on helping hard-working Walmart workers who are paid so poorly that they must rely on assistance from food banks and use food stamps. 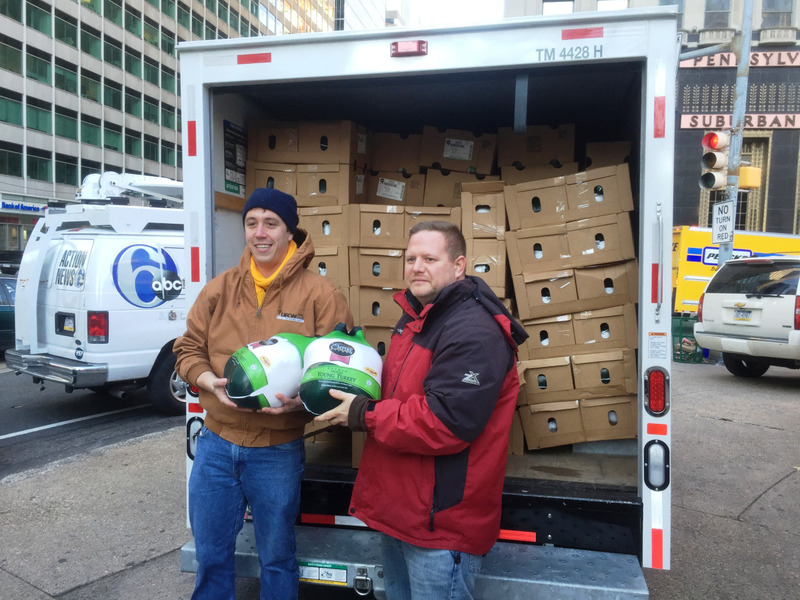 During the entire Black Friday week, Making Change at Walmart, community partners, and other organizations hosted food drives in cities across the country with a goal to feed 100,000 Walmart workers and families though the holidays. 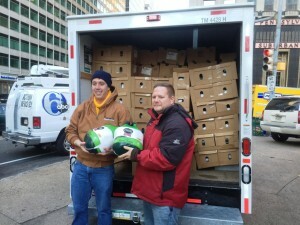 Photos from the “Give Back Friday” food drives can be found here.